With this Nintendo Switch Deluxe Travel Case, you can play your Nintendo Switch anytime, anywhere in style. 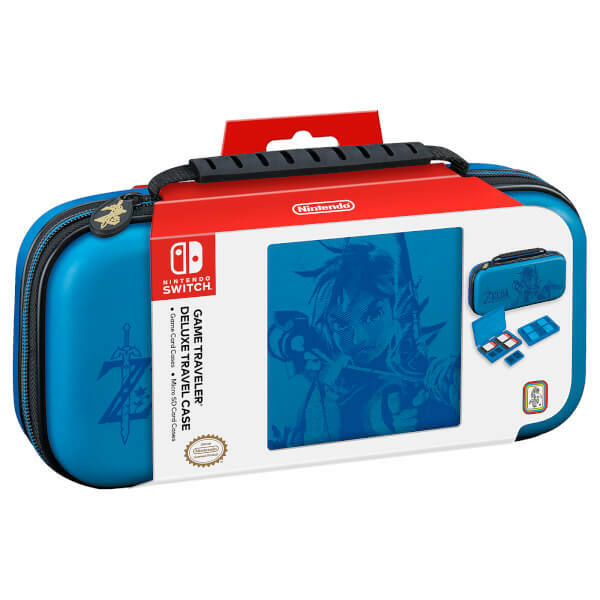 This case features a The Legend of Zelda: Breath of the Wild design in blue, and offers hard exterior protection for your Nintendo Switch, a cushioned interior and a carry handle. 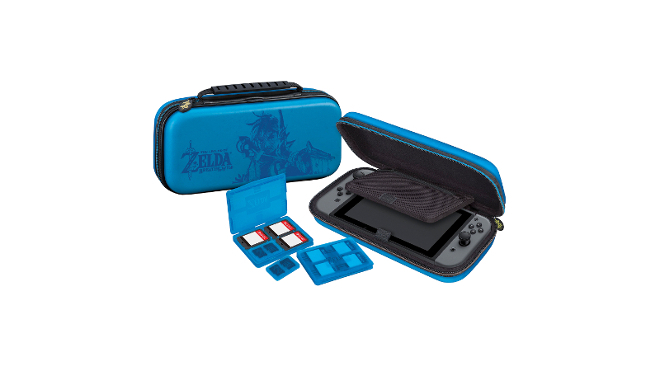 Inside the case, a zipped storage pouch allows you to keep Joy-Con straps or game cards, and two organisers offer storage for 4 Nintendo Switch game cards or micro SD cards in each. Great product, well made extremely happy with it. 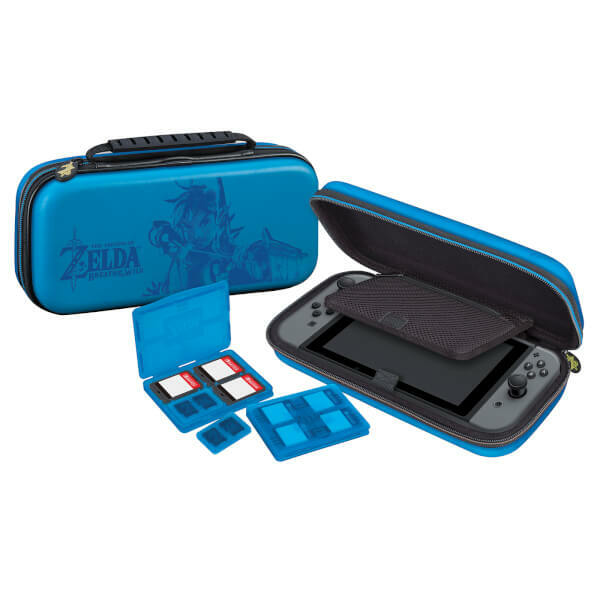 good to travel with! 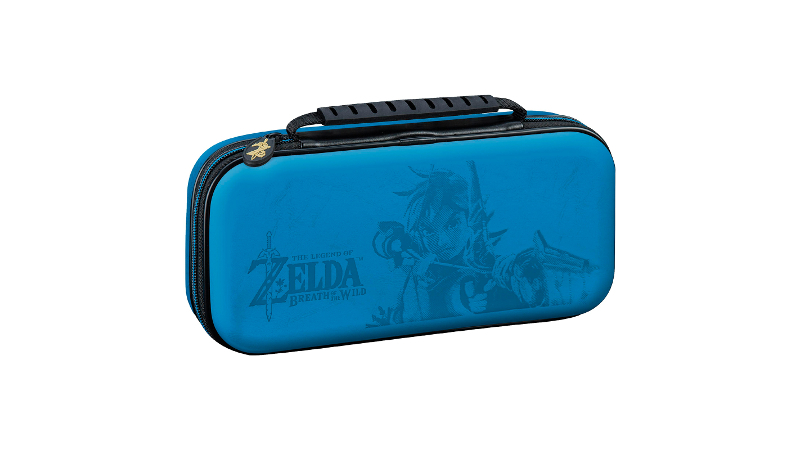 plus it’s zelda!!! 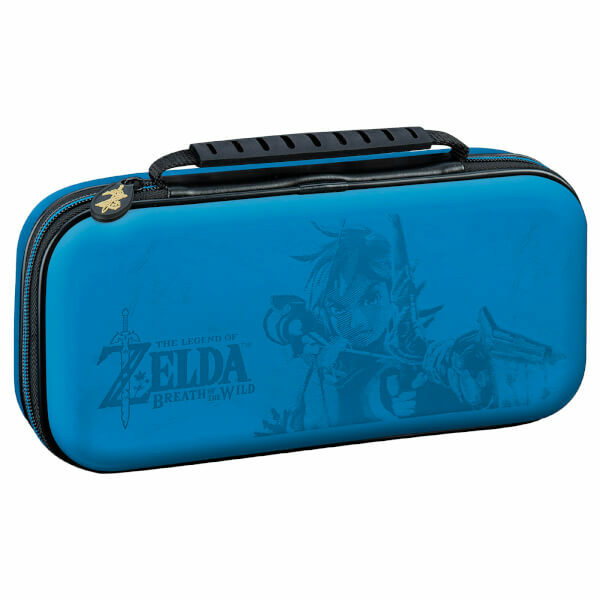 More compartments than expected giving me more room for storage. Strong and good quality. 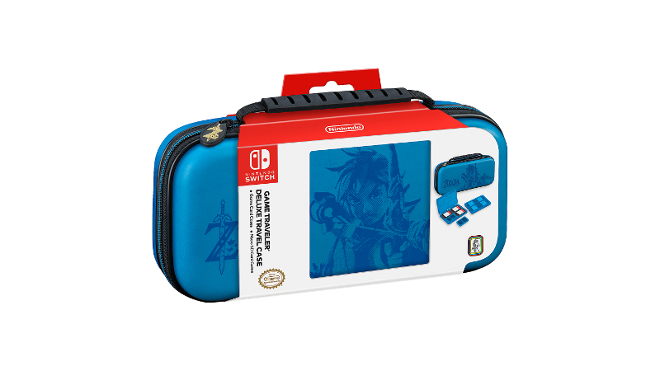 I really like the design on the cover and being confident my switch is safe in a hard case wherever it goes.